I have a physical ARC of this book thanks to Jenna @ Falling Letters and I want to get to it as soon as possible! I love the animated movie adaptations of this series, so I decided to try out the books. I will be reading it in April as a part of the OWLs Readathon hosted by Book Roast. This is one of my most anticipated sequels of this year and I cannot wait to embark on another adventure with Kiranmala! I loved Even the Darkest Stars, the first book in the series, in 2017 and can’t believe I’ve waited so long to pick up the sequel! This is another book I’m reading for the OWLs readathon. This book was featured in my diverse anthologies list and I’m so pleased to announce that I’m part of the blog tour being organised by Vicky @ Vicky Who Reads and CW @ The Quiet Pond! This will also count towards the OWLs readathon. I want to break up all the fantasy books with a dash of light-hearted contemporaries this season and I’ve heard nothing but good things about it from Charvi @ Not Just Fiction, so I’m going to be buying this as soon as it’s out. Sandhya Menon has become an auto-buy author for me after I adored both When Dimple Met Rishi and From Twinkle, With Love, so I’m going to pre-order it and finish it by the end of May. I’m a bit ashamed to admit that this is a carryover from last year’s fall TBR, but this gem of a book is still sitting on my unread shelf, so it’s time to rectify that soon. I believe I started it around the same time last year but stopped after 5 chapters. This time I’m determined to forge ahead and finish it, as it’s a high-priority read for 2019. I’m not sure if I can realistically get to this book by the end of spring, but this is another sequel I can’t wait to dive into because the first one ended on a huge cliffhanger. 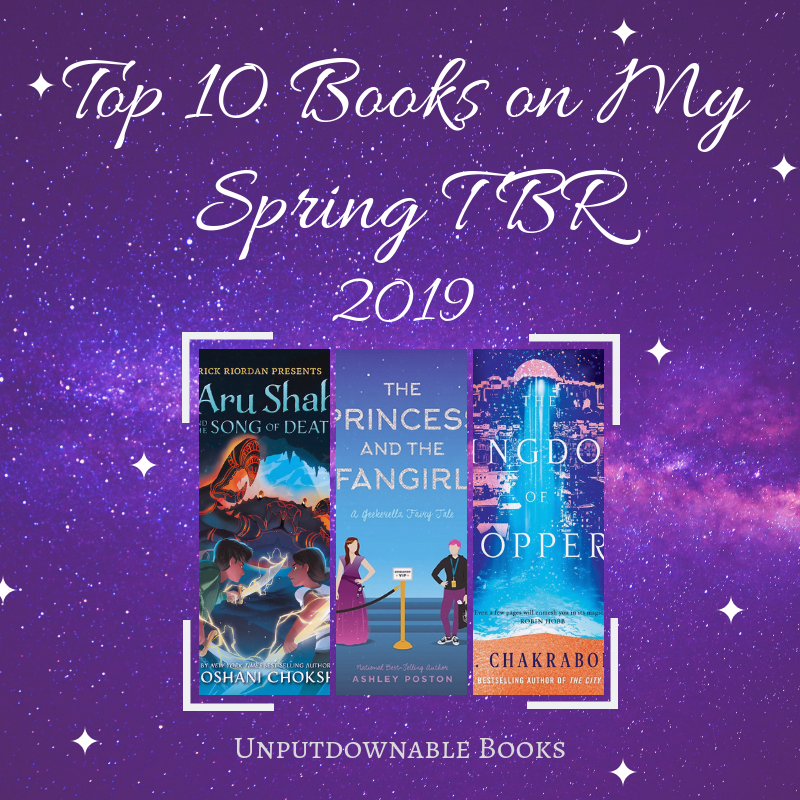 What’s on your spring TBR? If you need some help deciding what to read this season, check out my book recommendations for spring. I’m usually in the mood for light and happy reads at this time. Do you know any feel-good fantasy books that you think I’ll enjoy? Let’s discuss in the comments section below. I’m quite curious about There’s Something About Sweetie, too. I’m so pleased! I thought I was the only book blogger in the world who’d never read The Silmarillion. If you give it a great review I’ll have to give it a go! I loved Even the Darkest Stars, but I haven’t had the time to get to the sequel yet either. And I really should get to it, book 1’s ending had so much potential. Same thing with The Kingdom of Copper, after what happened in The City of Brass I should have already read it by now… but it’s long and it’s a sequel. 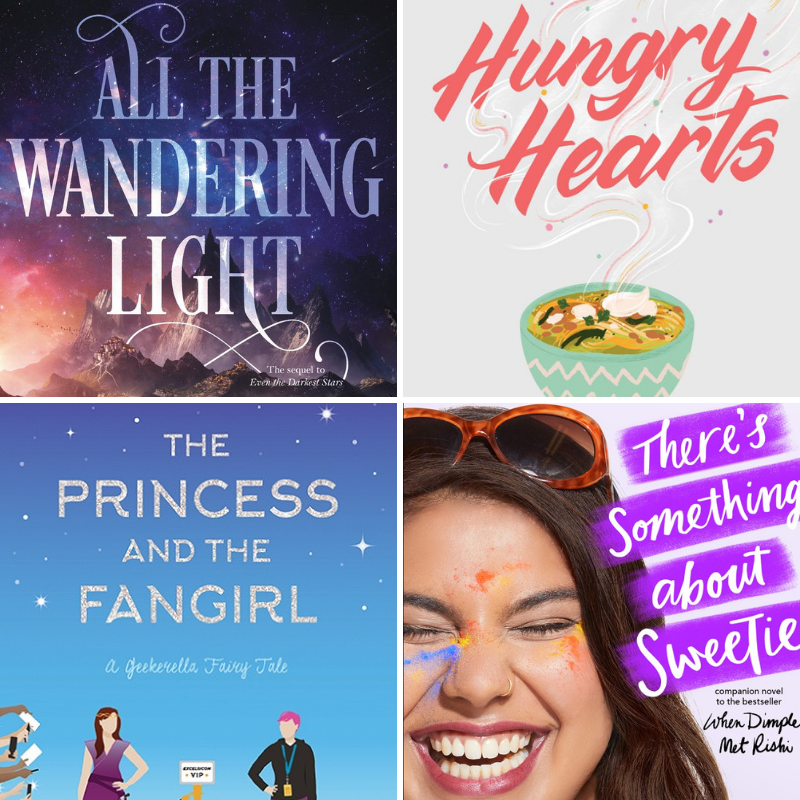 I have an ARC of The Princess and the Fangirl and I’m just…struggling. I took a break to read some other books, so I want to see if I can get back into it now. 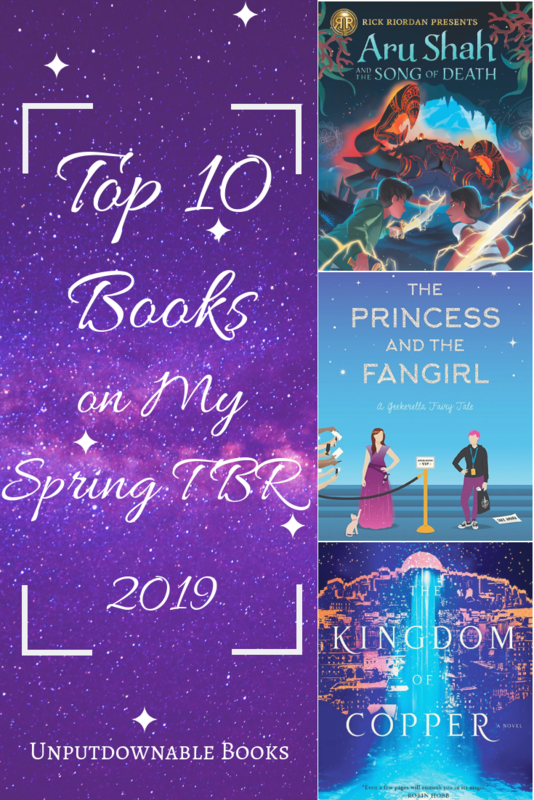 I read an ARC of The Princess and the Fangirl last earlier this month and I really loved it, I hope you do as well. I need to get to Kingdom of Copper as well. I’ve been staring at it since it’s release, but haven’t gotten a chance to get to it. I’m sure it will be an amazing read for both of us. Happy reading! Great list! I have Circe on my shelf and haven’t read it yet, but I’ve heard amazing things about it. Happy reading! 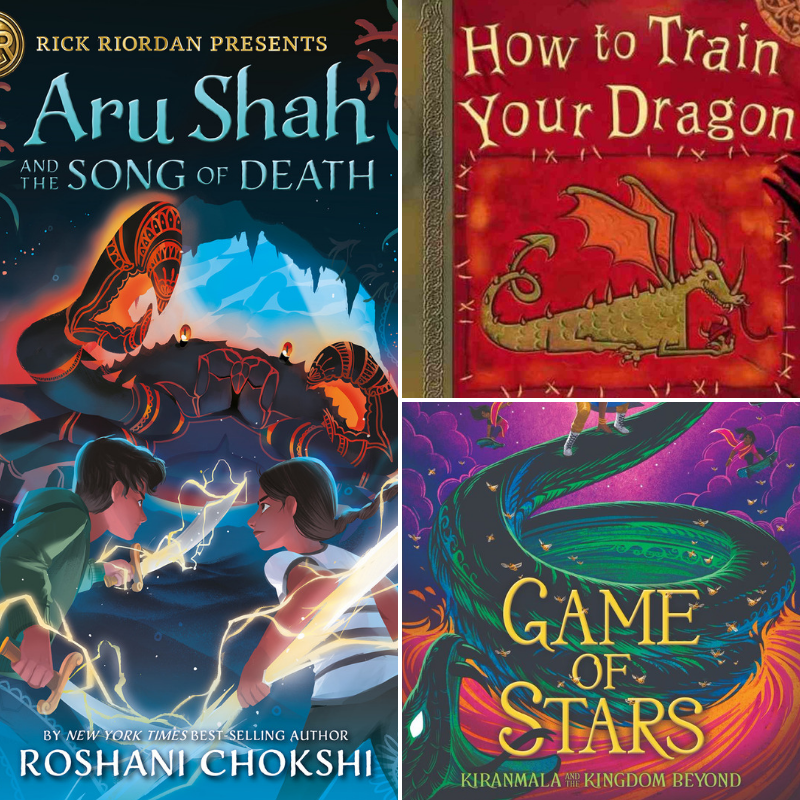 I’m super excited about Ari Shah and the Song of Death but I know that unless I manage to borrow it the moment it appears on my library’s website I’ll have to wait ages to get to it. I tried to get my little brother to read the first one with me but he didn’t like it so this time I’ll try to read it to my cousin. So many good books this spring! Something About Sweetie and Princess and the Fangirl are high on my list. I’ve been told I should check out Circe too. Enjoy your reading! Awesome list and post Dini!! 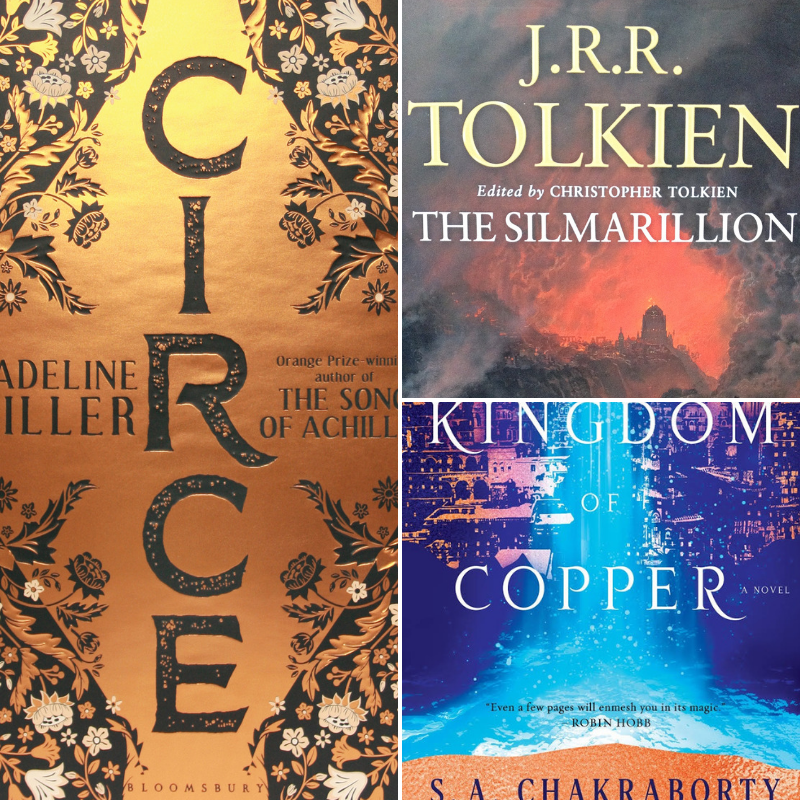 I finished Circe on this list and loved it . I don’t really have much thought on spring reading cz exams are coming. Happy reading Dini!! My TBR for the next few months consists of what I’m reading now (Children Of Blood And Bone) and then Empire Of Sands (FINALLY!) and The Burning, and hopefully finally finishing Susan Ee’s Penryn And The End Of Days series. I’m really enjoying it! I have to sneak in a few minutes a day after my daughter sleeps so it’s slow-going, but I love the writing of it.